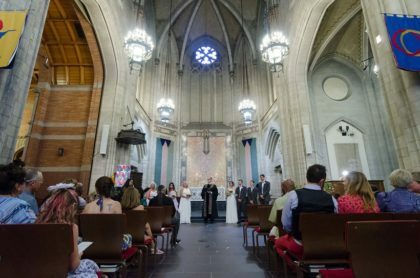 First Unitarian Church of Chicago offers two unique settings for the wedding of your dreams. Our dramatic gray stone neo-gothic sanctuary seats 225 guests under soaring vaulted ceilings. The Victorian carved oak Hull Chapel will accommodate 100 in its warm, intimate space. Each venue has its own wonderful pipe organ. Fine pianos are also available. The church is available for weddings Friday afternoons, Saturdays and Sunday afternoons. Included in the rental is a one hour rehearsal, typically conducted the day before the wedding. Ceremonies are usually led by one of our senior co-ministers, Rev. Teresa Schwartz and Rev. David Schwartz. They truly enjoy working with couples to prepare a meaningful and personal ceremony, and require two meetings in their office before the wedding. They also conduct most wedding rehearsals to ensure a smoother and more relaxed wedding day. Couples with special circumstances may request another officiant with whom they have a special relationship. Our music director, Jeff Hamrick, will help you select the perfect music to reflect the love that brings you together on your special day. 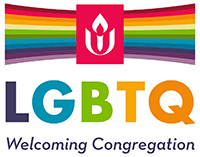 First Unitarian welcomes people from all religious backgrounds, cultures and races, genders, ages and sexual orientations, as members of the diverse human family. We welcome interfaith weddings and are ready to help you draw on diverse traditions as you plan your ceremony. You can also have your reception at the church. 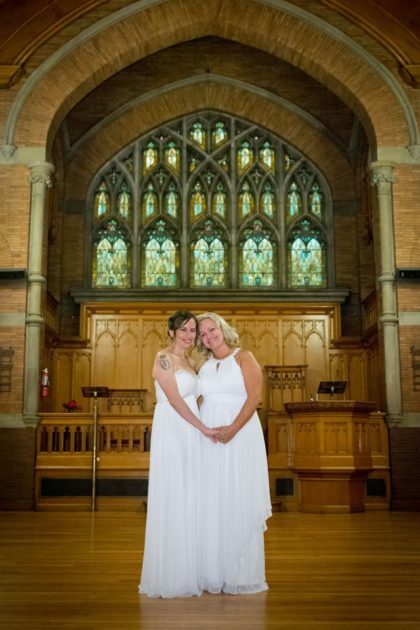 Our rates for weddings are $1000 to rent the sanctuary and Hull Chapel for a typical wedding with 150 or fewer guests. A non-refundable deposit and completed space use agreement are required to reserve your date. For information regarding our senior ministers’ and our music director’s fees, please contact Director of Operations Michael Knowles at 773-324-4100 or office@firstuchicago.org. The sanctuary is ADA accessible, and Hull Chapel is accessible by stairs or an ADA lift. On weekends, parking is typically easy on the surrounding streets. Tthere is a drop-off space in front of the main entrance to the sanctuary that can be held on request. 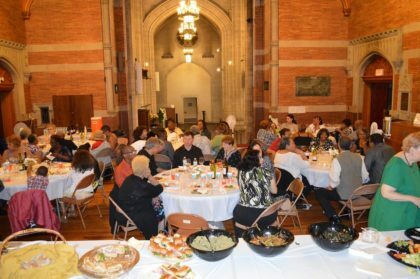 First Unitarian Church is located at 57th Street and Woodlawn Avenue, in the historic Hyde Park neighborhood. Two blocks to the south of our building is the Midway, site of the Columbian Exposition of 1893. One block to the west are the old quadrangles of the University of Chicago, constructed beginning in 1893. Our congregation moved to our present location in 1897. Our stately English Gothic sanctuary, which echoes the architecture of the old quadrangles, was erected in 1929, at the same time as the construction of the towering Rockefeller Chapel, one block to the south and across from Frank Lloyd Wright’s famous Robie House. Today Hyde Park is a thriving middle-class, racially integrated community. The University of Chicago has grown into one of the great universities of the world, and its campus and medical center continue to expand. The University has taken a great interest in its neighborhood and its improvement and has assisted its staff in settling here. Commuting to downtown Chicago is an easy 15-minute ride on either Metra trains or express buses. One can also bicycle downtown on the lakefront bicycle path. Two large parks border the neighborhood – Jackson Park on the south, location of the “White City” in 1893, and Washington Park on the west. On the lakefront a mile east of our church is the Museum of Science and Industry, one of Chicago’s top tourist attractions. Hyde Park has many other interesting museums, galleries, book stores, and restaurants. Many University students live off campus throughout the neighborhood. Many of the older three-story apartment buildings in the neighborhood were converted to condominiums years ago, and have been maintained in top condition. Also, there are many newer and older townhouses, and a few tall high-rise apartment buildings. 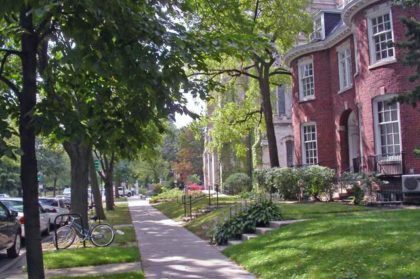 The stretch of Woodlawn Avenue where our church is located has spacious old mansions, some of which have been converted to University use.